Where to stay? Many of Columbia County’s hotels are pet friendly. 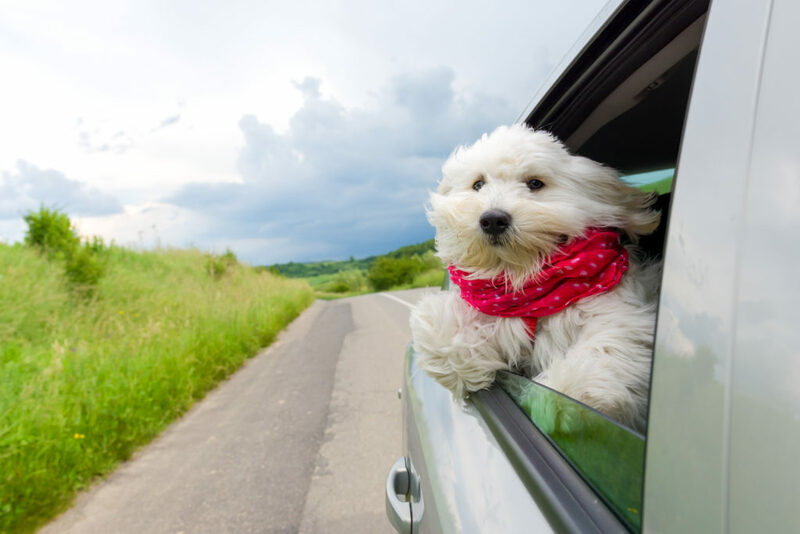 So, don’t be afraid to bring Fido along on your trip! Visit our accommodations page to see which hotels accepts pets. What to do? Let your pup meet new friends at one of Columbia County’s Dog Parks. The Dog Park at Evans Towne Center Park, in the heart of Evans, features agility equipment and separate areas for small and large dogs. Feel free to let your dog explore the rest of the park on leash! The Dog Park at Riverside Park also features separate areas for small and large dogs, but this park gives them a little more room to stretch their legs. Whichever park you choose, you can’t go wrong. There are also endless trails your dog companion can accompany you on. One of the most popular destinations is Savannah Rapids Park, where you can stroll along the Tow Path of the Historic Augusta Canal. Bonus: this is one of the most scenic places to snap a #DogsOfInstagram selfie with your dog! Don’t forget to hashtag #choosecolumbiacounty for a chance to be featured! Running low on dog supplies? Visit Garden City Pet to stock up on food, toys and other supplies! Rooted Coffeehouse *free Pup Cup!